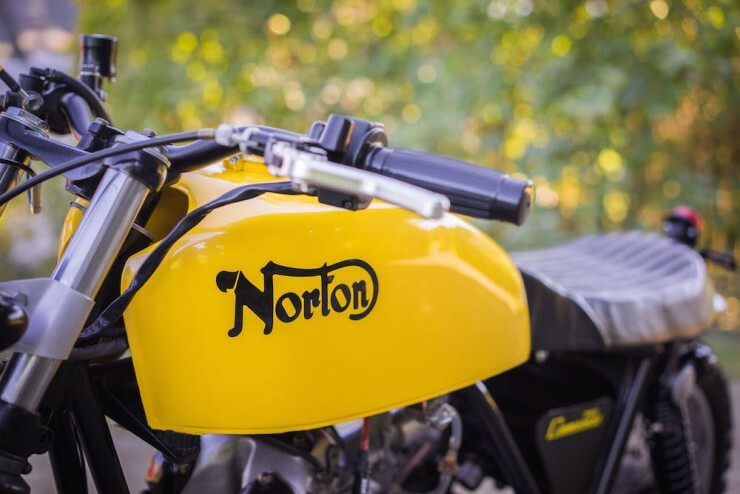 The Norton Commando is a motorcycle that defied the odds to become a cult classic in its own lifetime, it was developed to compete with the new wave of bikes coming out of Japan but unlike the Japanese, the Brits were struggling to fund new R&D. 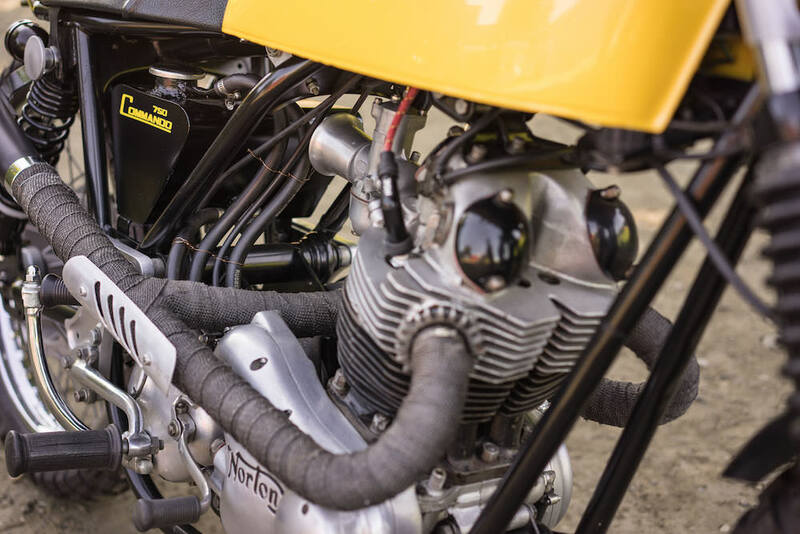 This resulted in the Commando using the Atlas parallel twin, an engine that was first designed in 1949 with a capacity of 500cc. 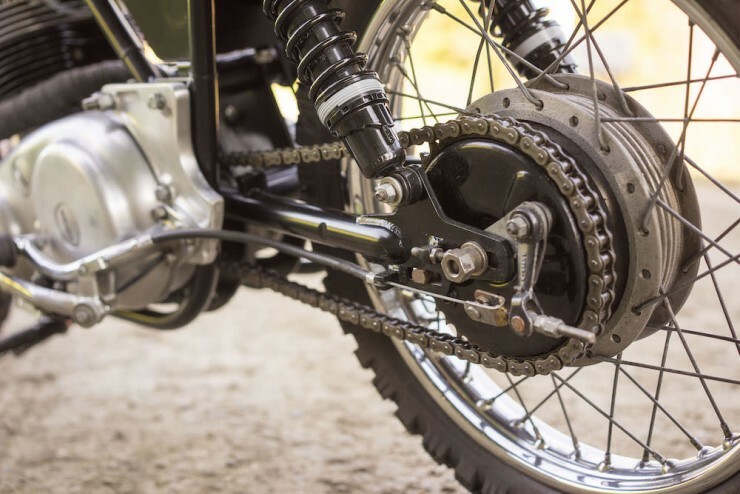 The original clutch couldn’t handle the torque being produced by the 750cc version of the Atlas so a fork lift truck diaphragm clutch was used, a new frame was then designed by former Rolls-Royce engineer Dr. Stefan Bauer to replace the legendary Norton Featherbed. 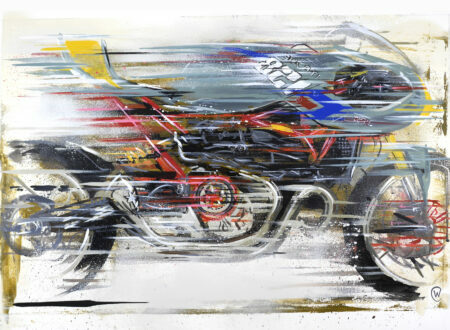 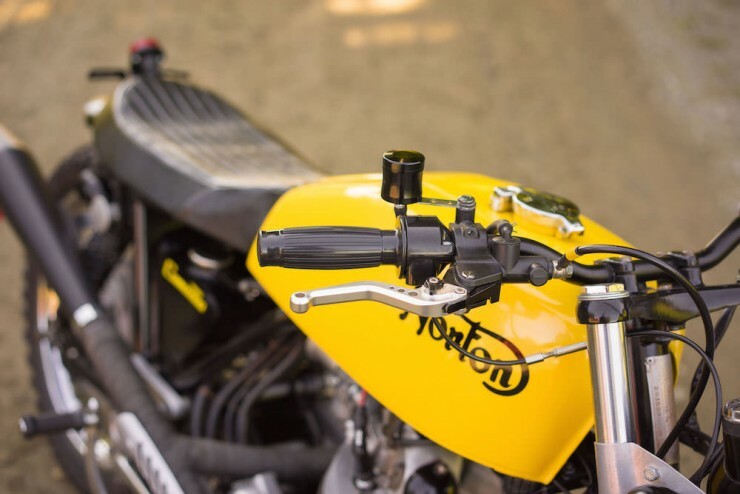 This new frame was a revelation, it offered far better rigidity than the outgoing Featherbed and it made use of Norton’s decades of experience on the race tracks of Europe. Once the new frame was coupled with its new suspension, and once it was all tuned to work together, the Commando was one of the finest handling factory-built motorcycles that could be bought anywhere in the world. 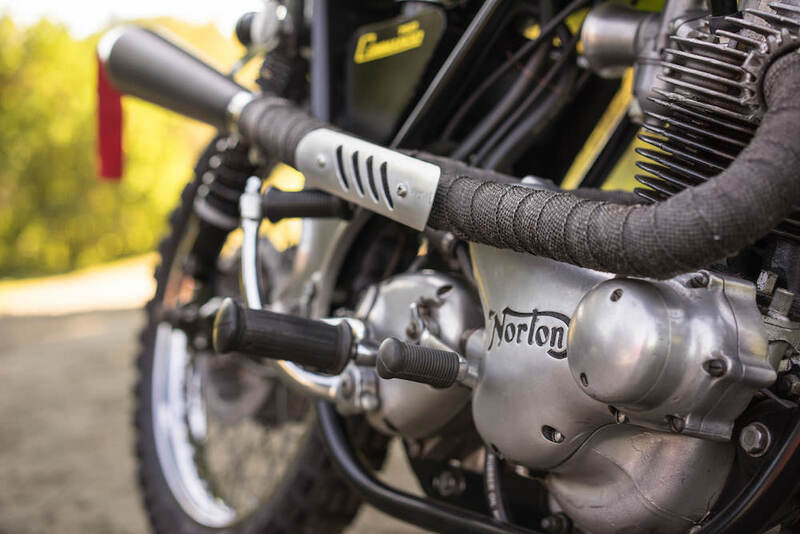 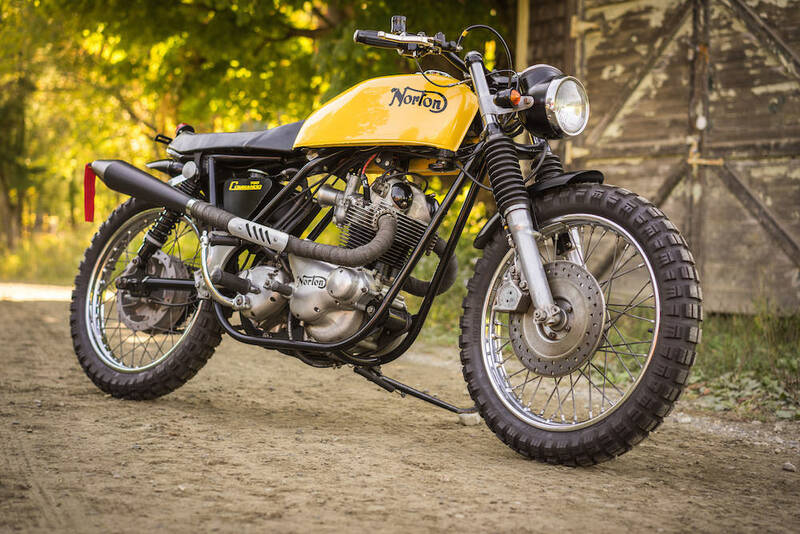 Despite its relatively humble beginnings the Commando went a long way towards saving Norton when it was introduced in 1967 at the Earl’s Court Motorshow. 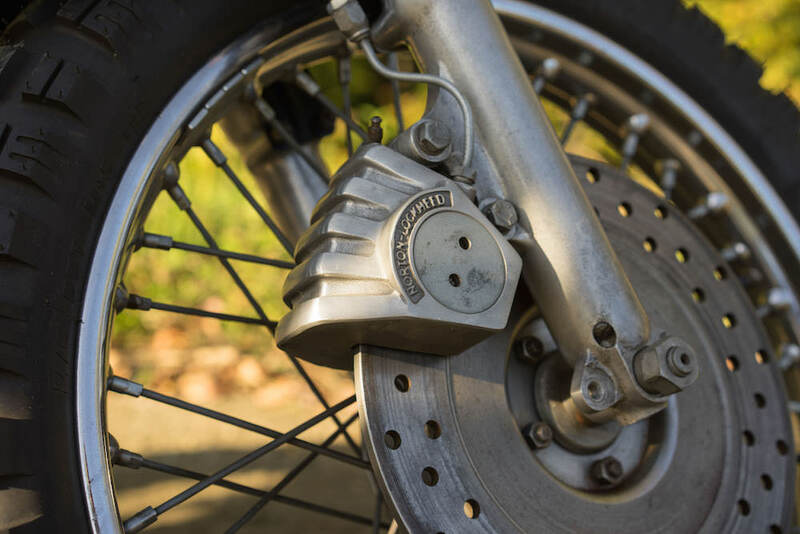 It would go on to win the Motor Cycle News “Machine of the Year” award for 5 years back to back from 1968 to 1972, and it was arguably the last of the great British bikes before the Japanese invasion really took hold. 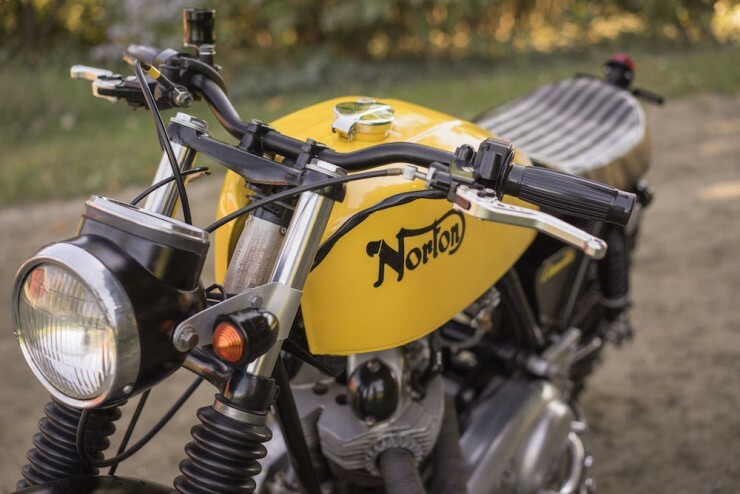 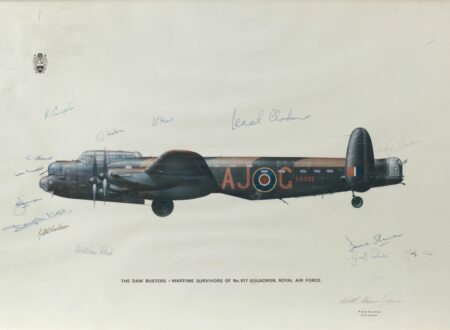 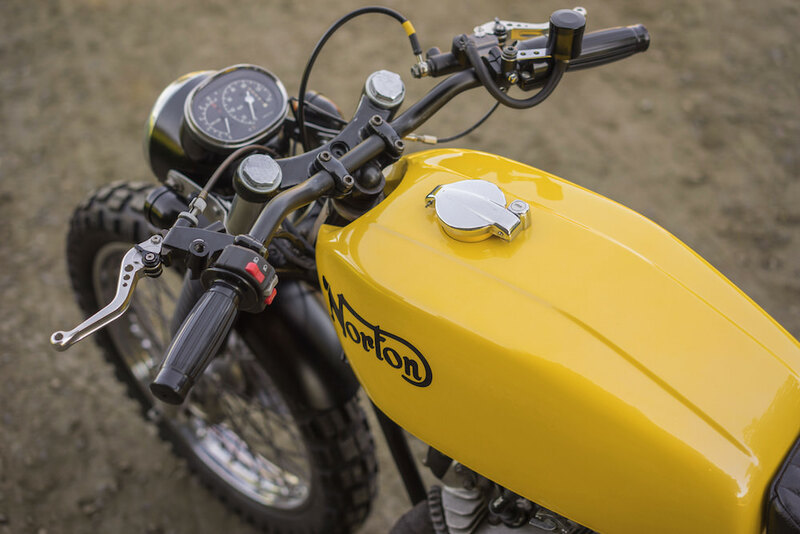 Today, surviving Norton Commandos are in high demand and they’ve seen a healthy appreciation in value when compared to many similar bikes of the same era. 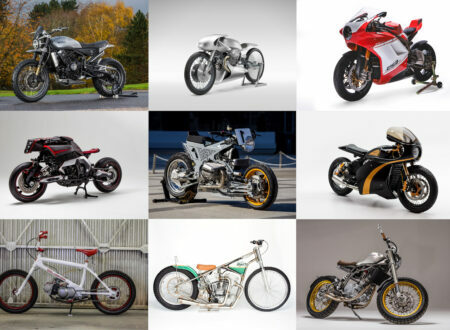 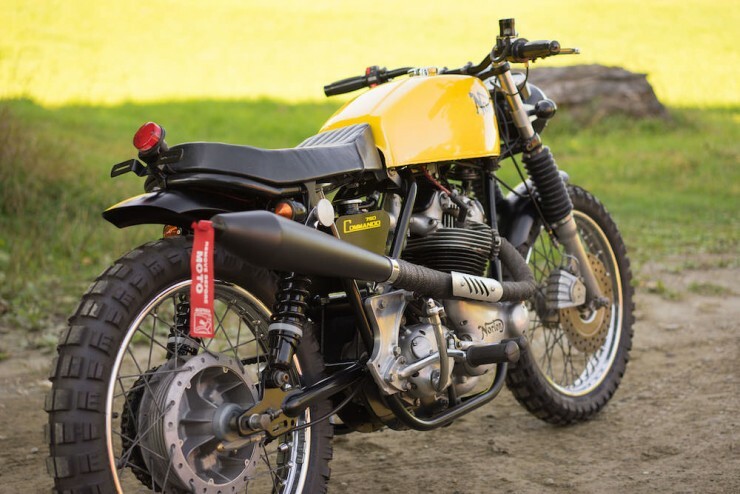 This has meant that we’ve seen far fewer Commando-based customs than we have Sportsters, Bonnevilles and CB750s – so when one comes along we always jump on the chance to feature it. 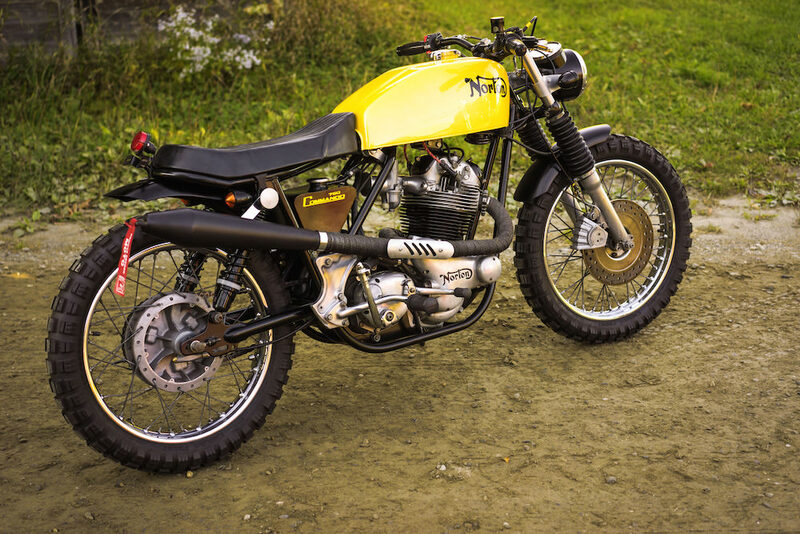 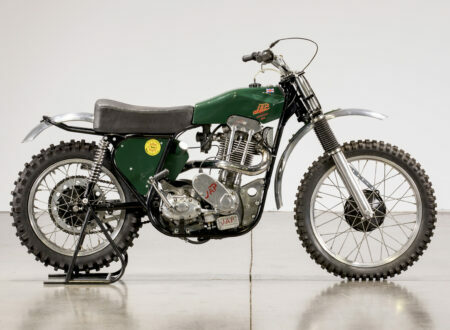 This Commando Scrambler is a 1972 model with a 1970 engine, it’s likely that it was originally fitted with the somewhat troublesome 1972 Combat engine which offered slightly higher performance but also had an unnerving habit of internally detonating and showering hot oil all over the rear tire. 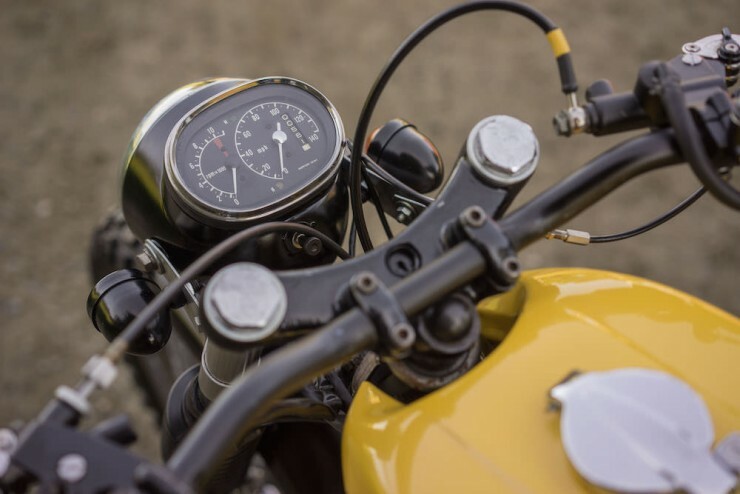 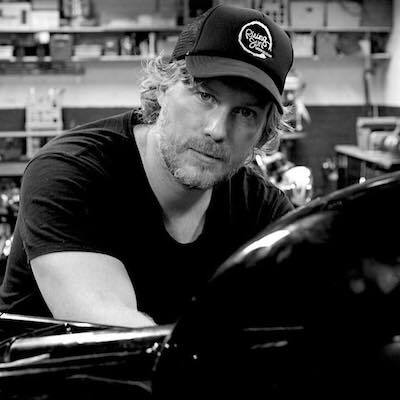 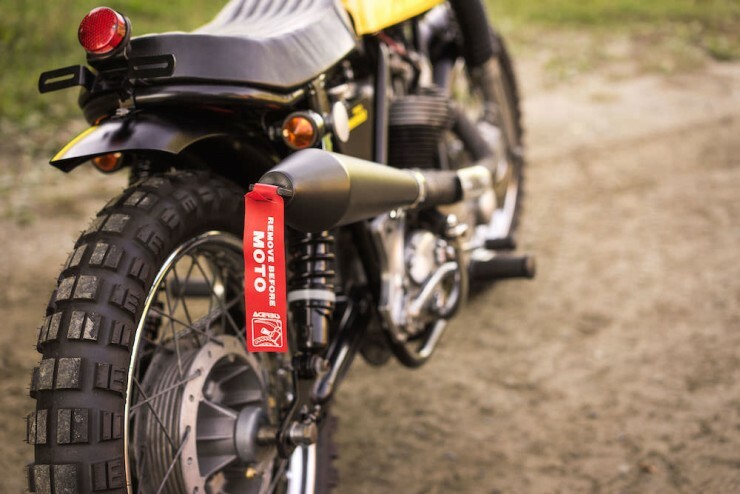 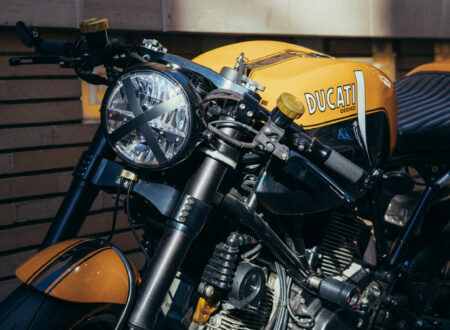 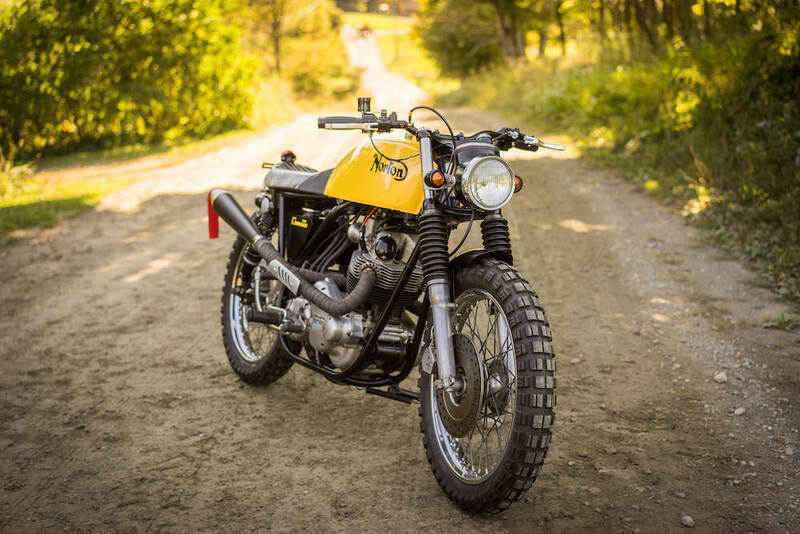 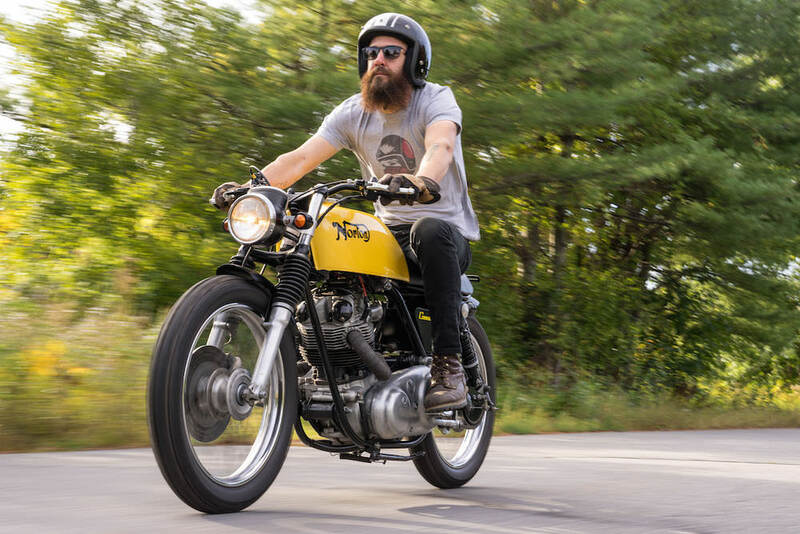 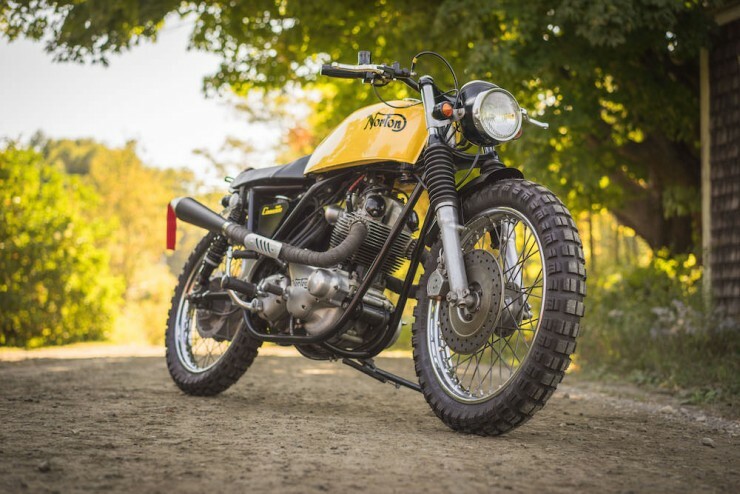 It was bought as a running project bike by Chris John, the co-founder of Vintage Steele, and the project itself was undertaken by Chris, Josh Steele and longtime friend Caleb Matthiesen. 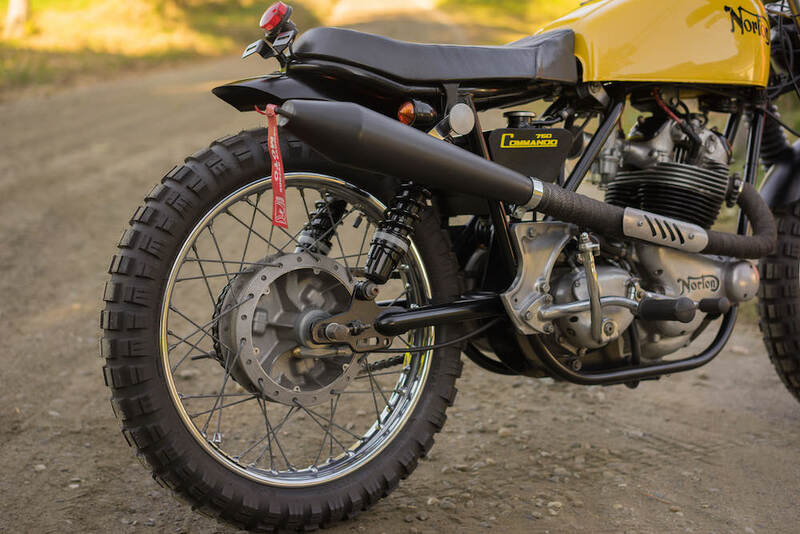 They decided early on to develop the Commando into a genuinely capable scrambler, so a full teardown was completed and a series of new parts were sourced – including a fuel tank from a 1976 Honda CB400 Four, a 1967 Black Bomber headlight bucket with an intergraded speedometer, and they added new Progressive rear shocks and Progressive fork springs on the front end. 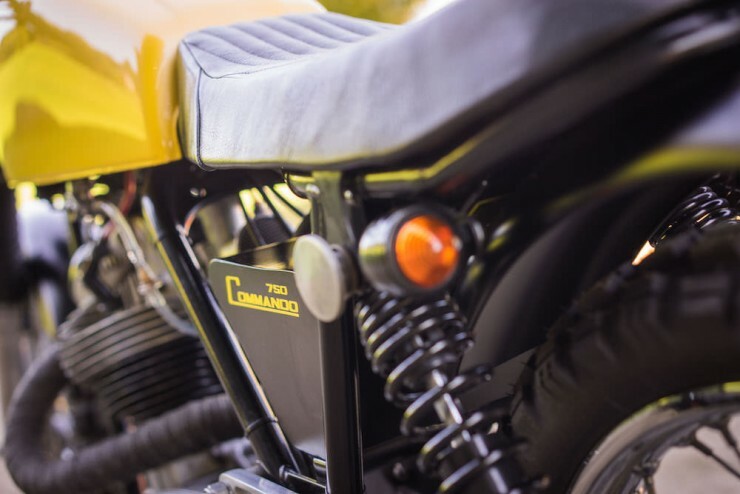 The rear frame loop was cropped to match the new seat that had been upholstered by Caleb and an entirely new wiring loom was developed by Chris to replace the ageing, original system. 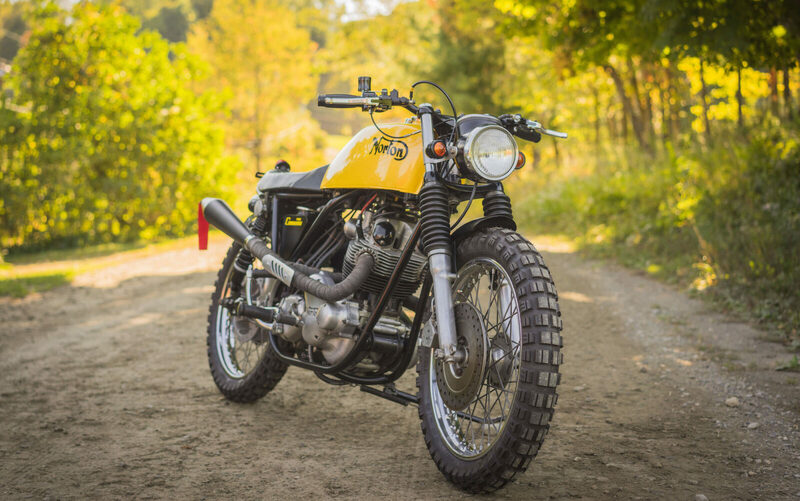 The completed bike looks like it’d be a blast to ride both on and off road, and if you’d like to see more from Vintage Steele you can click here to visit their website. 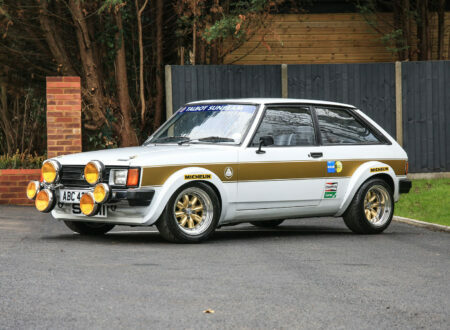 All images copyright Steve West.